[w]orlds can collide when you merge children with special needs into the mainstream education system. Sometimes it works, sometimes it doesn’t. Our children, you see, belong to different worlds, which sometimes collide, with deleterious results. But Smalley had a good news story, too, which happened at her own son’s preschool. Here a child with autism initially presented as ‘extremely dysfunctional’. He was unable to socialise and exhibited all sorts of strange behaviours. But then something changed, and he became like the others. He is now a fabulous, functioning little boy who’s social and interactive. You would never know he's autistic. The good news story, as it turns out, was even more offensive than the bad news one. I wanted to sit across a table from Ms Smalley and tell her that when my daughter engages in some of her classically autistic behaviours, she is not being dysfunctional: she is being herself. Furthermore, that my aspiration for her is not that some day someone will never know she’s autistic, but rather that she may find her own place in society, a place of reciprocal acceptance and meaningful inclusion. For this to be possible, I am quite positive it’s not her that we must change. It’s society. I don’t think Smalley means harm, even though her article does harm. I don’t think she set out to misconstrue reality, I just think she did inadequate research into autism, special needs, and the state of the current education system. I would like to think that when we engage in the debate that she calls for – about mainstreaming and special needs children – that people like her will hear our arguments and realise that moving towards inclusion really is in the best interests of all students; that our children are not a threat, they are an opportunity for everyone’s betterment. That there is nothing inherently impossible about integrating our classrooms to better reflect societal reality; the disabled, the different, the differently-abled, are all around us anyway, they are part of our world and deserve to be. We can recognise that some students may never fit well into a mainstream classroom, but we need to know and make sure that the reason they don’t fit in is not simply because we gave up on the disabled. We need to be sure that when a child is excluded from a school, it really is because it was the best and only decision left, rather than the current situation where our kids are so often not even allowed in the front door. The piece is that good from beginning to end. So go read it. Then come back, if you want, and we’ll talk about something else. Over the weekend, I was included in a feature on blogging by Jonathan Milne for the Herald on Sunday. It’s an appalling piece, and in hindsight I can’t fathom how I could possibly have thought that it would be a good idea to take part in it, given that I was told fairly early on that the other main subjects were Cameron Slater and Martyn Bradbury. So how could this develop into anything other than an ‘angry male partisan bloggers are coming to eat your babies’ story? It was also rather naïve of me to think that I had been chosen for anything other than the Willie and JT controversy angle, and that Milne might have read my blog, like, ever, if only for research purposes. But I guess I had a good run with reporters over the last few months, and then hubris did the rest, as I fancied I might be able to argue against the premise of the piece, like some sort of half-naked Homeric hero. However, Milne and his puerile frame wouldn’t be denied, and so the few snippets of our long conversation that made it into print paint the charming picture of an irascible immigrant who clearly thinks very little of his country of adoption – yet for some reason won’t just bugger off – and who is bent on ‘shutting down the voices with which he disagrees’. Evidence for this includes how I ‘blocked the libertarian Herald on Sunday columnist Damien Grant on Twitter after a disagreement’, in spite of my patient efforts to explain that I did so because he wouldn’t stop pestering me. In the world of Herald on Sunday journalism, telling a Herald on Sunday journalist to go bother someone else is the worst form of censorship. In the most extravagantly gratuitous piece of misquoting – of an email, no less – Milne managed to imply that I was a draft-dodger, thereby casting a sinister light on my reasons for emigrating to New Zealand. (Blog faithfuls will know I did in fact serve, and with interest.) But what bothers me most is the effort I wasted arguing for the patient work of so many bloggers outside of the braying, ego-driven few – amongst whom Jonathan Milne is more than entitled to include me – to counter the dispiriting shallowness of mainstream media commentary, and carry out cultural and political work of genuine importance. Once more, blogging is to be understood and represented by official journalism solely as its distorted mirror double – obsessed about readership numbers, striving for legitimacy and mainstream acceptance, parasitic, ethically compromised – and never as a distinct domain of knowledge work that is, on the whole, far more diverse and demanding than the opinion or cultural pages of our leading newspapers and magazines. Another case of worlds colliding. There was a particularly unpleasant line midway through the piece: ‘The bloggers have the potent personalities - now they just need to turn it into cash.’ It’s unpleasant for many reasons, not least that most bloggers don’t care about making money out of blogging. (I personally wouldn’t mind, and I’ll get to that in a minute.) It also glosses rather grossly over the critical issue of what we value or should value as a society and as a culture. The exchange rate for Jonathan Milne’s feature in yesterday’s Herald on Sunday is roughly $1,200 before tax (had it been written by a freelancer, that is, but it’s a fair estimate of the market value). The far more urgent, considered and well-written response by Autism and Oughtisms to Rachel Smalley – a piece endeavouring to fix the damage done by a robustly salaried media personality – is worth nothing. Not a cent. We have no mechanisms to give it a monetary value outside of the plaintive Donate button on the blog’s sidebar. This button signals that the author wouldn’t mind some form of recompense for her writing, and at the same time that she doesn’t expect it. It also says that writing is just that: work, a product of labour. Even when they try to tell you otherwise. So here’s my pitch. I used to feel bad asking for money, but then I look at the products for sale out there, in the mainstream. $1,200 for Jonathan Milne's story. Metro charging you $10.50 to watch Noelle McCarthy review books that she may or may not have read. (I should start the bidding at $11, as I can promise you I read everything.) Then there is Bob Jones, who can afford to write for the New Zealand Herald for free, and the paper is only too happy to oblige him. Let me have some of the cash he’s leaving on the table, and as a bonus gift to you I’ll keep my racist, sexist views to myself. There is no moral obligation here: if you’ve been reading this blog since its beginnings, 258 weekly posts ago, hell, I'm the one who owes you money. Nor is this a transaction. You get nothing in return, and writing this thing makes its own time, so it will keep going regardless (or if it ends, it will end regardless). All that the money – any money – might do is take some of the pressure off the time I don’t spend blogging. Which would be no small thing. So, consider donating if you can and you think that this small piece of our blogosphere is a product of labour and has some value, even though it’s not for sale. 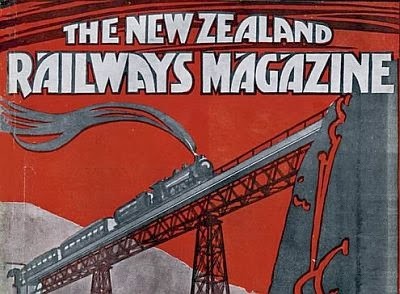 In its heyday, New Zealand Railways was the Wired magazine of its time. 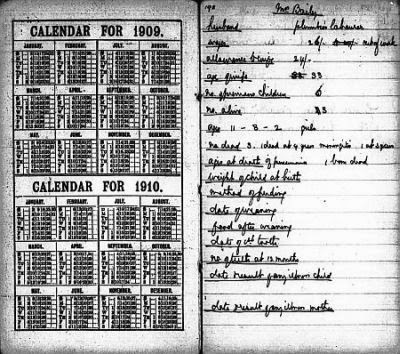 What had started as a publication for the Railways Department’s 18,000 staff and its principal suppliers and customers was able to morph into a whole-of-culture, broad-ranging popular publication because it was wedded to a technology that signified social and economic progress in the same way that computing does today. 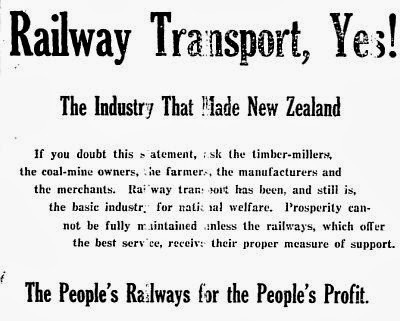 Even in early 1934, as the country struggled out of the worst of the Depression, an ad in the magazine could proclaim ‘Railways for Happy Days Again.’ In the same issue, we were introduced to the Railway Department’s section of the industrial procession known as ‘Wellington’s Drive for the Restoration of National Confidence.’ Good times were ‘overdue’, and the train would lead the country to them. Witness the bright sun of tomorrow filling the horizon at the end of the straight railway track on the cover. But faith in technology and rational progress could not be bound to a means of transportation alone, however shaping of the nation and its mindset. 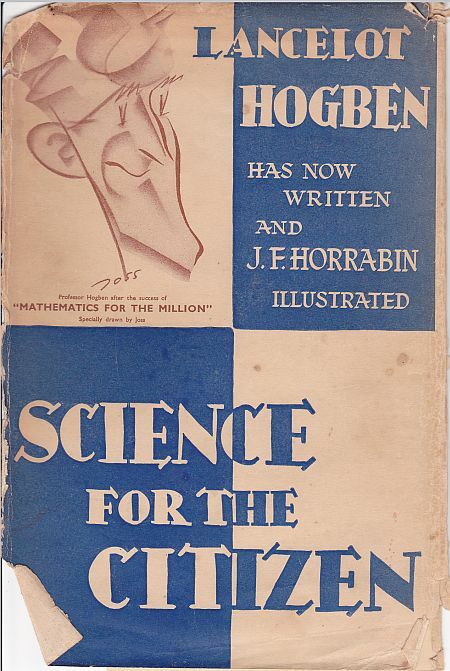 So in the June 1938 we find an extended piece by O. N. Gillespie entitled: The Marvels of Mathematics – “The Mirror of Civilization” – The Coming Of An Arithmetic Of Social Welfare. The bulk of its content is devoted to showing how the ancient Greeks and Romans never mastered basic mathematical concepts such as division and the zero, which set hard limits on their ability to progress not only technologically but also culturally, as civilisations. The last suggestion of that long-winded title – that social welfare can be reduced to a mathematical problem, thereby solved – receives a somewhat shorter and more elliptical treatment. But it’s intriguing nonetheless. When the common men of the world have universally a command of the grammar of mathematics, there will arise from them greater men still, more profound thinkers, who will conduct the impeachment of the evils that infest our world. The language of mathematics represents an emancipating force, freeing intellects and setting free influences which pass over national barriers. From the study of its eternal truths, from the appreciation of its beneficence of discovery, its inescapable exactness of conclusion, will come the ultimate realisation of happiness for all mankind. Nowadays you might find pronouncements such as the last one above – centred on the idea that knowledge is humanity’s prime and inexhaustible resource – precisely in magazines such as Wired. Outside of the fevered dreams of the technologists, however, this age of austerity and brutal economic upheavals offers too many reminders that a science of numbers capable of guaranteeing the people’s well-being has yet to be discovered. Gillespie’s ‘vision of comfort and glory’ has found more takers among right-wing radicals economic theorists operating out of think-thanks and universities than in the highly numerate polis that he foreshadowed. 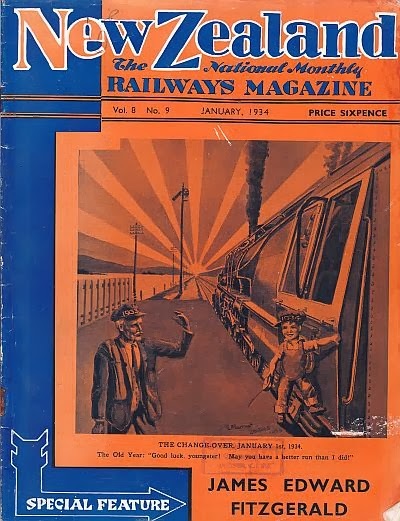 Fittingly, the desire to foster a literate, intelligent popular readership is what we mostly remember about New Zealand Railways Magazine, but there wasn’t a safe arithmetic to ensure that admirable goal either. 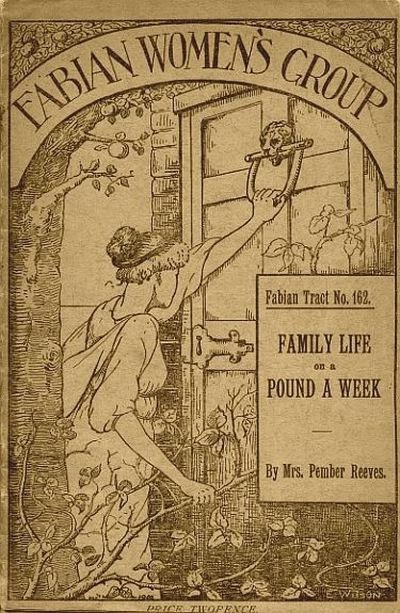 The publication that just a few years earlier had cheerfully offered the prospect of ‘happy days again’ abruptly ceased to operate in 1940, and didn’t reopen after the war. Your words, your world, our money, that we get to keep. 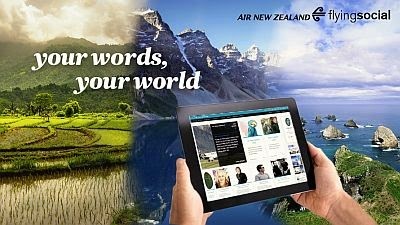 Air New Zealand launched its recruiting campaign for ‘volunteer writers’ at noon yesterday. The idea: to outsource the content of the company’s Flying Social marketing initiative, in exchange for exposure through its media channels. Each applicant was invited to declare their interests, describe their ‘social media skills’, decline their Twitter and LinkedIn details (both compulsory) and tell Air New Zealand ‘why they should be a Flying Social contributor’. Applications would close on 4 March 2014. I guess one may choose to find it heartening that people aren’t completely inured to these scams yet, as evidenced by the backlash that led the company to abandon the plans within two hours and pledge to ‘come up with appropriate compensation’. We can still grasp how obscene it is for a company that made a $182 million profit last year to ask aspiring writers to work for free, dangling in front of them the prospect of an exposure that they would be just as likely to get by keeping their own blog. No, writing for Flying Social is not going to improve your CV. No reputable media outlet is going to trawl a second-rate infotainment channel ahead of their next intake of staff writers. You may hone your skills, but the web offers plenty of other ways of doing so which don’t involve volunteering to be exploited. And yes, I’m aware that Blogger, tumblr, Wordpress, Facebook, Twitter and so forth also profit from the content that its users upload onto them. I think it would be misleading to equate these relationships with the one that Air New Zealand sought to establish with its writers, however. All of those other companies offer services which are a mix of a self-publishing and communication platform; their profit model is not based on the specific value of the content – how good it is, what it is about – but rather on the aggregate number of users and the frequency of their interactions. Blogger (hence Google) doesn’t ‘commission me’ to write these posts, nor does it care in the least what they’re about. Without consideration given to specific value, there is no ‘writing’, but rather an amorphous mass of ‘content’ to be profited upon in indirect ways. And without writing there are no writers (again, strictly from the point of view of the owners of these services). Flying Social, on the other hand, is a product. Its content is akin to advertising copy, and is editorially commissioned and selected. Consideration is given to specific value as well as to appropriateness. Hence, it is writing. Should it even surprise us that Air New Zealand tried to avoid paying for it? Perhaps not. There is no shortage of both old and new media outlets that have gotten away with it, most infamously the Huffington Post. It is possible the company thought that if they called it a ‘social network’, people would fail to see Flying Social as the piece of corporate marketing that it is. There is a detail that caught my attention, though: namely, the fact that the job requirements include having a social media presence and demonstrating social media skills. So not only did Air New Zealand try to pay for writing work in that most dubious of currencies – exposure – but hoped that the writers would be able to generate and amplify some of that exposure themselves. In other words, they weren’t looking just for volunteer writers, but for marketing professionals, too. A moveable, continually replaceable workforce willing to give away their labour for the privilege of being plugged into the company’s network, and motivated to add value to the company just to see that network grow. There are a number of apps that exploit the diffuse, anxious desire to monetise social activity on the web – a desire which we may view as a response to the much more common and effective transformation of regular work into unpaid social interaction. One such app (How Much is My Twitter Worth?) just informed me that my Twitter account is worth US$3480.06, and offers to keep me up to date with the most minute daily fluctuations of this value for as long as I keep asking it to; whereas the service known as Klout (‘the standard for influence’), assigns me a score of 62, enough to place me ‘in the top 10% of all social media users’. The algorithms that lie behind these calculations are proprietary, so it’s impossible to analyse the exact criteria involved and their relative weight, but one thing they have in common is their uncanny precision. My twitter worth is a value expressed down to the cents. 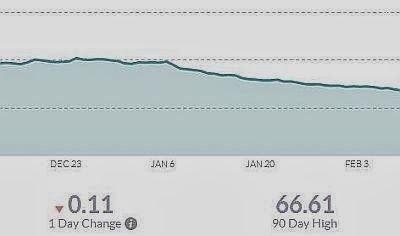 My klout graph keeps me up to date of daily variations and long-term trends. Of course this precision is entirely self-referential. It’s a mere expression of the algorithm. But the will to knowledge of our age being what it is, who’s to say how much stock people actually put in these numbers? Even if it were a knowingly played game of collective make-believe, I would suggest that it isn’t an innocent one; that it betrays a deeper search for value, even if it is the crude, nonsensical value of a virtual stock price, to counteract all the things that have lost and continue to lose their value as the digitisation, gamification and socialisation of labour eats into our new territory. The attempt to recruit a permanent army of unpaid interns for Flying Social ended in a short-lived public relations disaster. We can take a little heart in that. But only a little. Only once in the entire survey one of the women gets to leave the home, for two weeks. And so the husband has to look after the household, and finds that he cannot manage on the money he brings home. He buys too much margarine, you see. For all those years he never quite realised that his children ate far less of it than he did, for his is the principal, the most important mouth to feed, as it needs be if the family is to survive. More normative ideas: about what constitutes virtue and caring; about the value of what Pember Reeves calls ‘scientific foods’. 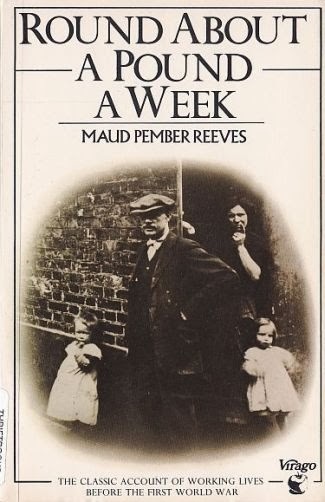 But this time they are allowed to clash with reality.Around about one pound a week still makes utterly compelling reading chiefly for this reason: that it illustrates how the narrative of virtuous, redeemable poverty is constructed, and how it can be deconstructed, occasionally producing a tension with the author’s own politics. It is such a loaded phrase, ‘the cost of living’. It can be stripped of all but one of its meanings by turning it into a statistical construct; or it can be allowed to retain all of its force, all of its inherent sense of injustice, by accounting in full for the effort it takes to work and be poor. The politics of this representation are immensely complex. But we have so many more instruments at our disposal, so many more media. So where is our progress?